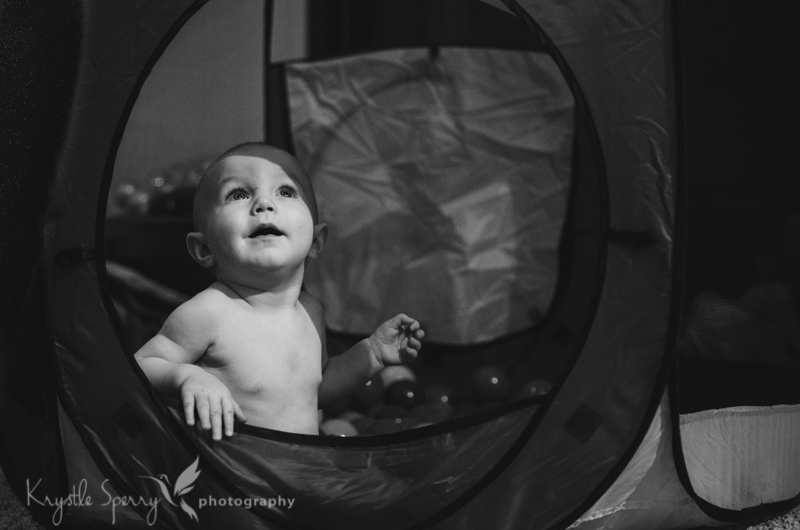 Apparently, this winter we are not going to see the sun, so I’ve decided I am going to enjoy some time working on my B&W conversions until we get some:) This lil man is surrounded by colorful balls in a colorful tent (Thanks Aunt K! ), but mom accidentally hits the button that turns on the ceiling fan, and it might as well all be monochrome. The boy loves his ceiling fans.